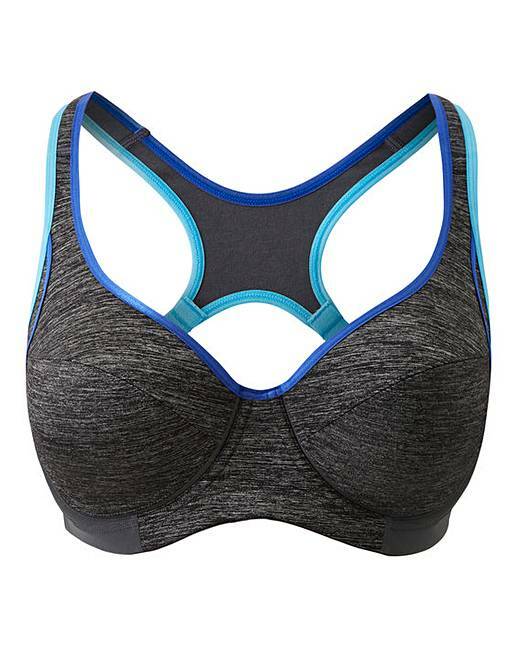 The DORINA Spirit is an easy-to-wear high-impact underwired, non-padded racer-back sports bra in grey melange with vibrant cobalt blue and aqua highlights, this sports bra lifts up any workout. A Racer-back with a cut-out panel gives you a breathable open back feature, paired with quick-dry micro that offers you a comfortable workout experience. 54% Polyamide, 24% Elastane, 22% Polyester.